King of Leon. 's tweet - "When even @SundayTimesZA gets it right you should know messed up at high level. 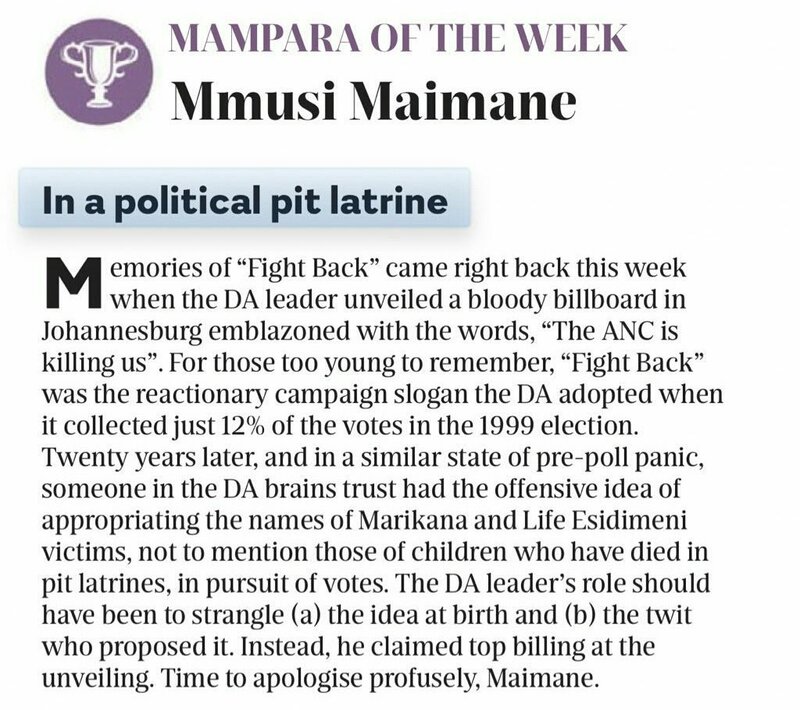 Winner of the mampara of the week goes to 🥁 🥁🥁🥁 @MmusiMaimane "
When even @SundayTimesZA gets it right you should know messed up at high level.